Hey guys, a very miscellaneous sales today. I am trying to clear out a whole bunch of used stuff. There is still some nice stuff mixed in like V-Trainers (Charizard and Suicune), high quality Jakks (including Jolteon & Eevee! ), and some chess figures that I have at regular prices. On the other hand, I put some things like Tomys, BK, Hasbro, and other random figures at very decent prices including lots at $1-3, so come take a look! I'm not actually THAT far from completing my bird pokemon kids collection! If you know how many bird kids there really are you would know! Dx I'd like to but them preferably in box. But I know thats not the case for the older ones. But MIB i'll pay around $4-$5 each for! I should be able to get any B & W pokemon in box. Here's my oh so extensive list! I am in need of funds so I gotta get rid of some items that I don't really use. One (EDIT: Er, two!) Quick Question(s)! A little bit of issue/ concerns with ebay? On Monday, I received a rather strange note from the PO. It just says "Please call Mr. X at the PO opening hour, phone number as follows.... ". It's really strange, because it didn't say what it's for. Of course, seeing it's from the PO, it must have something to do with packages, but normally it would be really clear about what it's for (i.e. collecting a package or letter etc.). Anyway, the PO was already closed by the time I got the note, so I phoned them the next day. Thanks for the input, I think I will just send them a message first. So, I have sent everything, and marked everything shipped. But how do I add the tracking number to ebay items? I think I might need to do so before they actually give me my money? To make this post more cheerful, my grumpy Kyogre arrived and is having fun with my super-loved dolphin (: Thanks ladylale for doing the pick up! Keldeo TCG Boxset in October!! Hello fellow collectors :) ! I am currently searching for both vulpix and growlithe canvas plushies mint with tags at a cheap price. Anyone here willing to part with em? Thanks everyone! Let me start off by asking this. But to the real reason to this post! 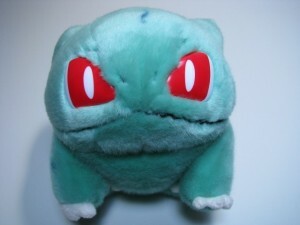 And the first thing I want to do with this privilege is trade this Squirtle plush for the Bulbasaur version. If anyone has him, please help me get my hands on him!!! EDIT: I think this is the guy I'm looking for. This is the one reminder post for the Super Massive Toy and Figure GA. It ends in about 22 hours, so a little less than a day. This is your last chance to get any bids in before it ends. Remember: It ends on Aug. 9th, 2012 at 12pm EST. Here is the countdown clock. On a side note: The Little Bit O' Everything GA is still running and we need a lot more bids if we are going to win. We still have a little over 3 days on it, so we have time, but the clock is ticking. To be transported to the Little Bit O' Everything GA, CLICK HERE. One and Only Sales Reminder for Gum and Stickers! Just a reminder that I still have gum and stickers for sale over in this post. Shipping is only $.65 for US orders! Gum is only $.45 each! Cute art on the packages! Also in my regular sales post I am having a special for the month of August, free shipping for all US orders over $1. Click here or the tiny banner to go to my permanent sales post. On a small side note, for my Pokemon amigurumi commissions I think I will be opening slots sometime next week. I can't say for sure when, but I will try to give a heads up beforehand! 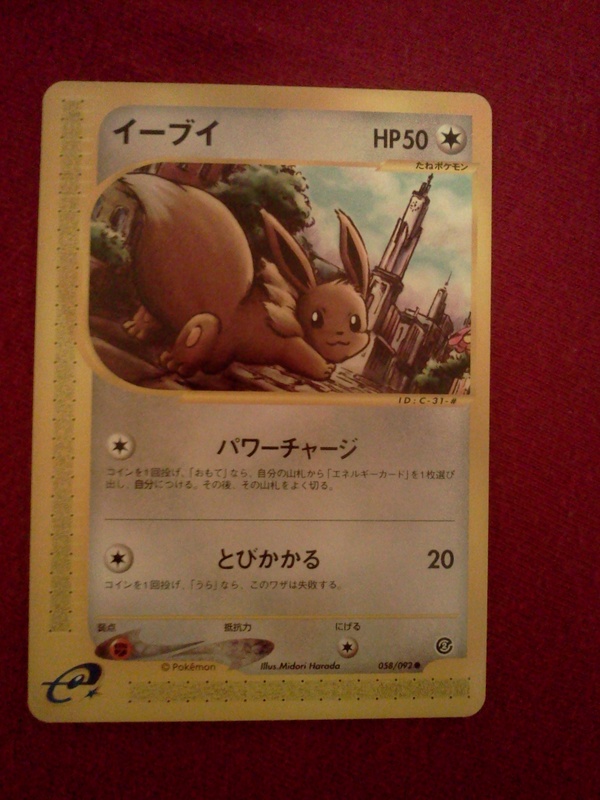 I am also selling this Eevee card in my post if anyone is interested. I haven't seen one selling yet, so maybe it is kind of rare. It's up for offers. I'm not looking to get alot for it though. lol Just a couple bucks is all. Thanks guys!!! 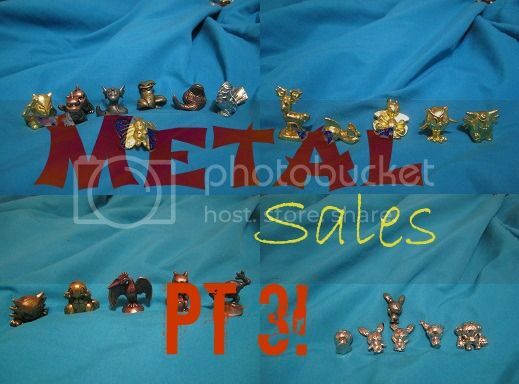 Left over metal clearance sales, kids figures, plush, and more!! Some quick sales and a question! What would be the best way to ship such a large plush without it getting damaged? 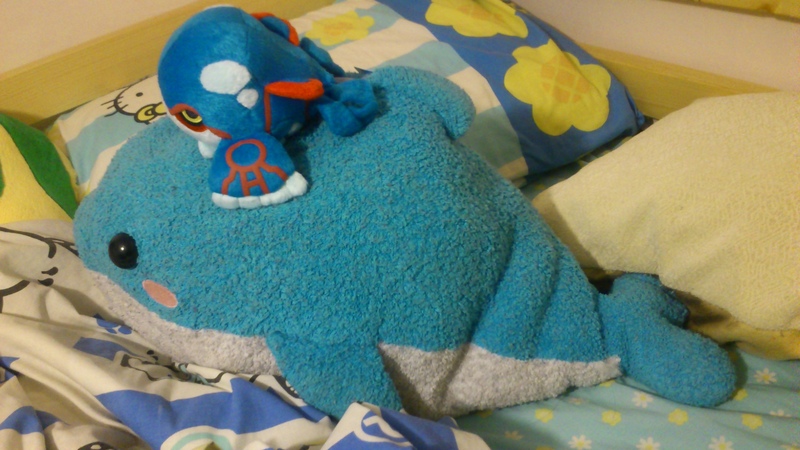 Has anybody else shipped one of the large sleeping plush? What method did you use? Hi community! Now that I am more settled at home after my holiday in Japan, I started documenting all my loot, and here are the fruits of my labour. Hi community! I've been going through a lot of my things lately, and this includes my Pokemon stuff! I will be slowly weeding out my collection again soon... It's unfortunate that this hobby requires so much space. ;A; But I guess that's part of the fun in a way!! I also never got around to putting all of those remaining things on eBay from my last sales, so expect to see those up for sale again in the near future. In the meantime, here are two absolutely adorable Pokemon up for auction! I also have a few things for straight sale! 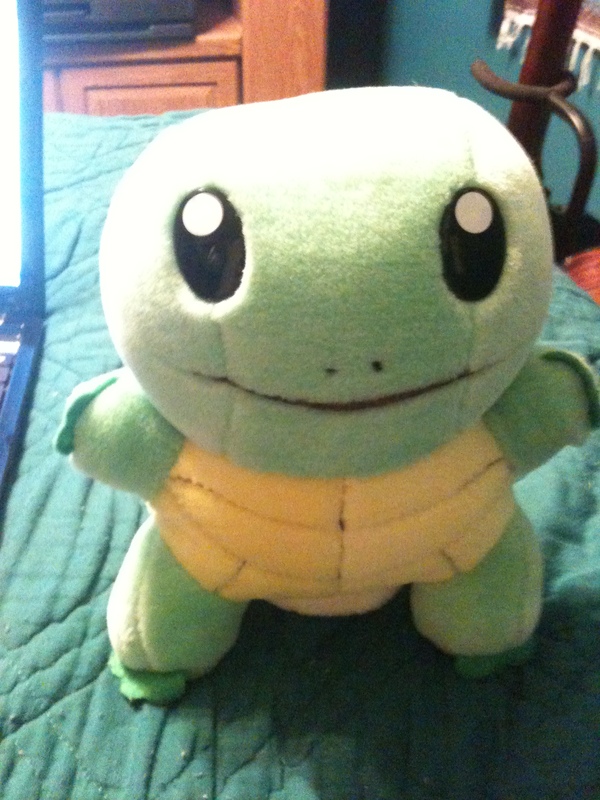 Featuring my Scalemate Scratch, who by no means is any part of Pokemon, but no less adorable. Also a reminder about the LOTS OF MPC GA which ends in about a day! Get those bids in! I was inspired by my fellow Raichu collectors to start this idea. We are rivals but we always go out of our ways to help each other if we can and have always had a wonderful and friendly relationship (at least the ones I know!). Even in frustrating times like after bidwars between each other we continued to help each other out. With the biggest Raichu collection I would expect to be thought of poorly or with lots of jealousy by other Raichu collectors, instead, they always show me things on auction I don't have yet or come forward to offer trades for items I don't have that they found. You guys are just amazing! On the other hand though, although in general this community does NOT have a lot of hostility or drama (compared to other communities anyway), nor do I feel the majority of our members need to be scolded for this, I've still seen some rivalries for other Pokemon become very sour, bitter and hurtful, too. I still see folks using very downright mean methods for hurting their rivals, which I don't want to go into detail, but you guys should be know enough to know what is just plain not nice! I also know that in general some very hard feelings form between rivals and I know how hard this can be to overcome. This is why I propose Collectors United! 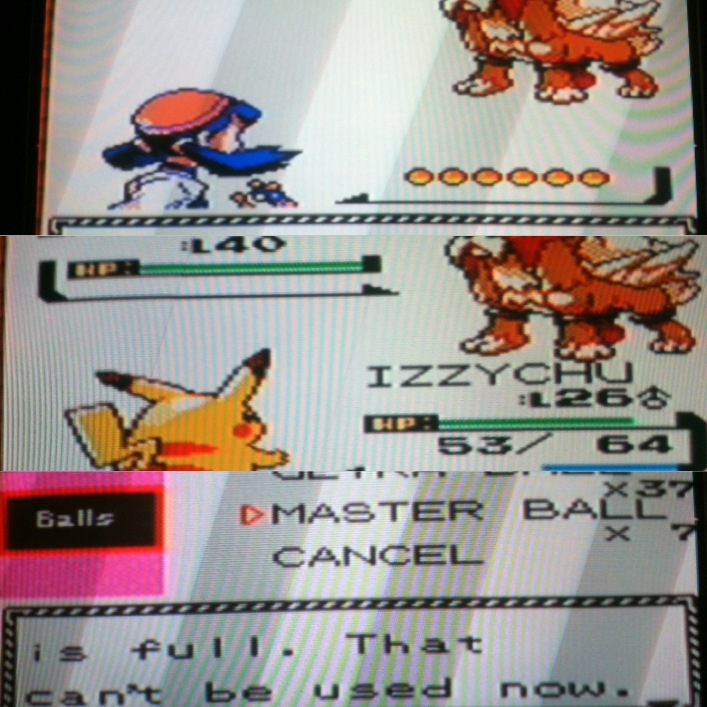 The idea is collectors of the same Pokemon can make a button or buttons to put in their LJ profile. The button could link back to this post, and putting the button in your profile means you PLEDGE! The pledge is this!" "I will do my best to treat my fellow collectors as I wish to be treated." 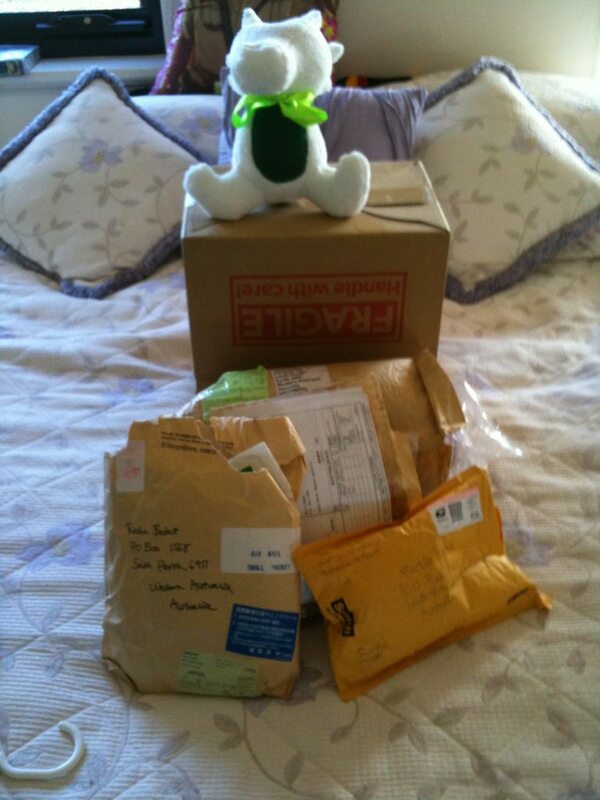 I am currently away but have been expecting quite a few packages most of them being plushes. My mum has been collecting them for me and one arrived today. She doesnt really know pokemon names so when I asked what was in it i got the reply "its a half fox half shark and its red"
Can anyone guess which pokemon it was?? Hey guys! Didn't know I'd be posting again so soon, but a really, really rare and exciting opportunity for one of my collections just came up, and I've decided to part with a few more rare items from my collection to make some more funds for it. I've combined the remaining items from my last sales post with this one! 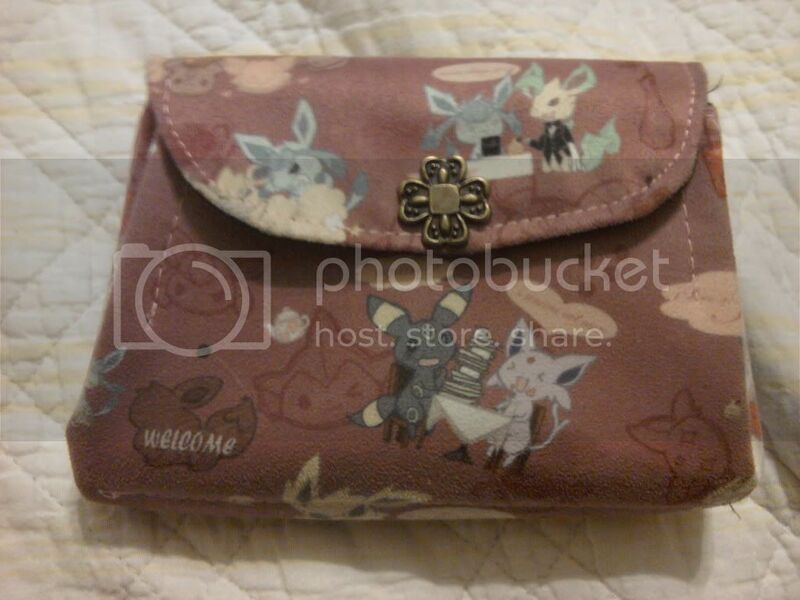 In this post, I am offering for straight sale: MWT Reshiram Pokedoll, Plusle/Minun 2004 Velboa Pokedolls, and MWT Leafeon Canvas, and a custom plush. Hello community! 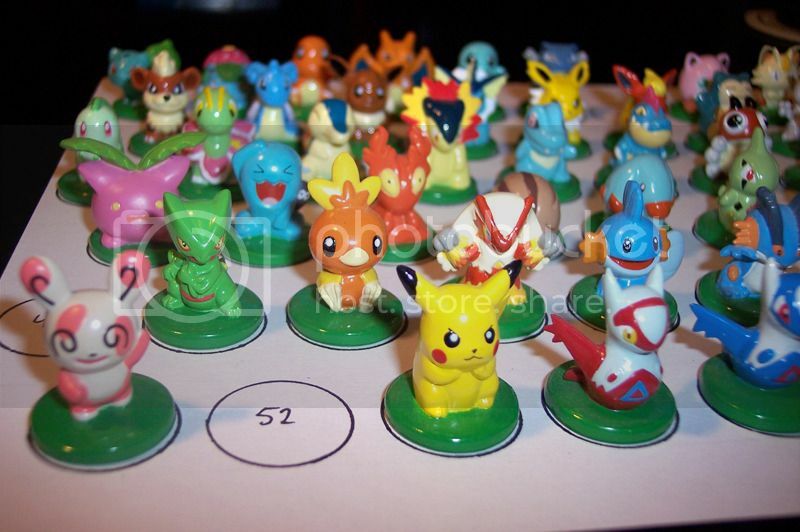 Today I have a small set of auctions for you, including 21 very rare minicots (Eeveelutions too! 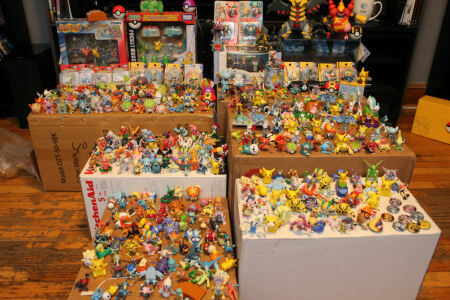 ), chess pieces, clearfiles, posters, Pokemon Time merchandise, and a couple other oddball items. Check everything out under the cut! BUT! I did recently get a mini-grail! I've been after this little guy for some time now. I was so happy! But they said they were going to put it for offers, and I was so lucky no one else offered >o<! Totally worth what I paid. And here is a picture of my Milotic Collection! I'm so proud to have gotten this far into collecting my favorite Pokemon! 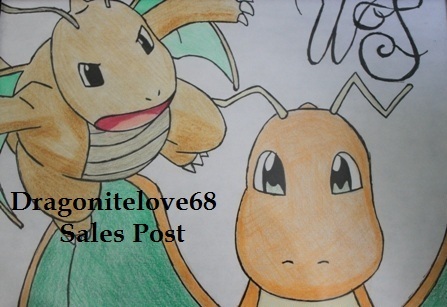 Ok, as you guys may have read, I'm a freshman in highschool, and I want to show off my Pokemon lover side! 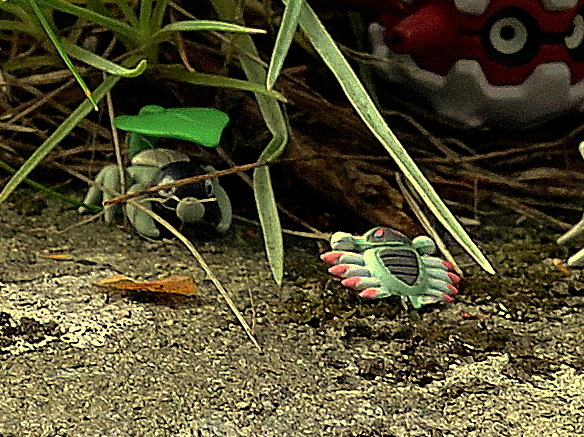 Sooo, can you guys tell me if you have any Pokemon Keychains (Mostly looking for Pokeballs and Starters)? Leave an offer and we'll work out a price! Okay! After that crazy post about my superinflated Croagunk collection, of course I had to take inventory to see what I still needed to get to complete my collection! Though really I think a true complete collection is impossible ^ ^"
Do continue to my wants post! Maybe you have some of my gunky needs...! In other news I got sales perm today, so expect details about ordering customs from me in the future! The last payment I need is from noraluvr58 (I also need payment from pokabubu but we've worked something out for later). Well, now that I'm properly back from otakon/vacation, hello all! I hope I didn't miss anything too exciting. Today I'd like to show you a nearly completed collection of mine: Mini-cots! Also, good news for those who were involved with my Eeveelution Clear-file GA! It finally arrived!!! :) I will be directly commenting to those involved for the final payments. Thank you to everyone who was so patient!